A few years back, I had written a long paper about the 17-Point Agreement. Here is an extract which shows that Ngapo was ashamed of his tibetanness. When he arrived in Beijing, he refused to used a khata and cut his hair . Ironically, Beijing has last week organized a function for people to offer khatas to the picture of Ngapo. At the end of the discussions in Yatung [where the Dalai Lama had taken refuge near the Indian border] , it was decided to send a delegation to Beijing to discuss the status of Tibet with the Communist leaders. A ten-point proposal was prepared as the basis on which the delegates were to negotiate. However, the Dalai Lama did not give his representatives any plenipotentiary powers. They were asked to refer any important decision back to the Kashag in the Chumbi Valley and were also requested to establish a wireless link between Yatung and Beijing to keep a daily contact. Unfortunately this was not to happen. In late March, the different parts of the team began to proceed to Beijing. From Yatung, Kheme Dzaza [who had led the Congratulation Mission to India in 1946] and Lhautara, a monk official sailed from Calcutta to Beijing soon after Surkhang’s return from Delhi. At the same the Chinese troops began their propaganda: “With serious concern for the people of Tibet, who have suffered long years of oppression under American and British imperialists and Chiang Kai-shek's reactionary Government, Chairman Mao Tse-tung of the Central People's Government and Commander in Chief Chu Te of the People's Liberation Army ordered the People's Liberation Army troops to enter Tibet for the purpose of assisting the Tibetan people to free themselves from oppression forever. The fact that Ngabo had been in the hands of the Chinese for the past five months should have disqualified him automatically to be part of the team. It has not been explained why the Tibetan Kashag selected Ngabo to lead such tricky negotiations knowing that he had been under indoctrination by the Chinese. 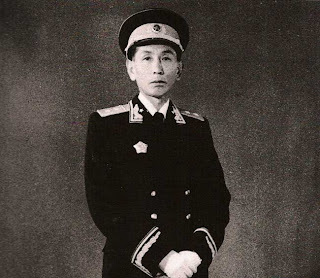 At the end of April, Zhou Enlai, the Chinese Prime Minister went himself to receive Ngabo and the Lhasa delegates at the Beijing station. Ngabo did not follow the Tibetan tradition of presenting scarves to the Chinese leaders, he most probably felt ashamed of this old custom. He had cut his long hair to show the Chinese revolutionaries that he was a modern leader. This must have immensely pleased the Communist Government to see that at least one of the [Tibetan] delegates had rejected the ‘olds’ [Old Customs, Old Culture, Old Habits, and Old Ideas]. China is rich, China is powerful and China is assertive. The 60th anniversary of the Communist regime will be remembered as the year during which China asserted, often arrogantly, its newly-found economic and military strength. Today China dictates its terms to the world. The execution of Akmal Shaikh, a British National, despite frantic last-minute pleas for clemency by the Gordon Brown Government is another sign that Beijing has decided to flex its muscles. Though after a ‘full and frank exchange of views’, British Foreign Minister Ivan Lewis told Chinese Ambassador Fu Ying that China had not taken Shaikh's mental health into consideration, it was to no avail. A few days earlier, Francois Fillon, the French Prime Minister had kowtow in Beijing after President Sarkozy had ‘dared’ to meet the Dalai Lama in Poland last year. Fillon, like Hilary Chinton and Obama carefully avoided the mention of human rights and other vexing issues. In Beijing, he declared “all misunderstandings between Paris and Beijing are a thing of the past.” From now on, the relations are to be based on ‘mutual respect’, which means ‘let us only talk about economic exchanges’. France was ‘rewarded’ with 12 deals in the fields of aviation, energy, culture and water resource utilization. Internally, the leaders in Beijing have also shown that they mean business. In December, a Chinese court sentenced Liu Xiaobo, a 53-year-old academic and dissident to 11 years in prison for ‘inciting subversion of state power’. The trial was concluded in two hours and the verdict immediately announced. Though not delayed, justice was clearly denied. Lui’s crime: he had authored The Charter 08, a petition calling for freedom of assembly, expression, and religion in China. It had pleaded for amending the Constitution and called for a multi-party system in China. It was too much for the apparatchiks who saw it as a direct challenge to their grip over the nation, especially after more than 10,000 intellectuals affixed their signature on the Charter. The leadership is not only proud of the fact that China has sailed through the world financial crisis, but also that the PLA has become the most powerful player in Asia and the second on the planet. According to a report released last week by the Chinese Academy of Social Sciences, China’s military strength ranks second in the world in terms of expenditure, number of troops and weaponry. Evaluation indexes include five direct constituent elements – territory and natural resources, population, economy, military, science and technology – and four influencing factors – social development, sustainability, security and domestic politics and international contributions. 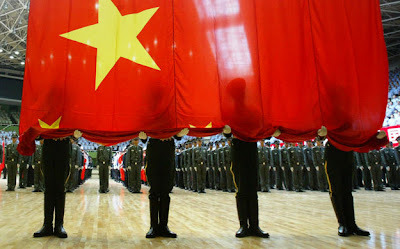 Many experts were surprised to see that China’s military power ranks second (with a total score of 33.3, behind the US, which scores 90.08, just ahead of Russia, with 31.08). The size of China’s armed forces is however the largest in the world (2.25 million troops) supported by 240 nuclear weapons, 7,580 tanks, 1,700 fighter planes, 144 naval ships and eight nuclear submarines. Despite the fact that China believes in ‘asymmetric warfare’, its official budget ($60.9 billion last year) is far below the reality as many ‘military’ expenditures are shown as ‘civilian’. To give an example: in 2009, China has built 53,000 km of highway in Tibet Autonomous Region (TAR), connecting 67% of its counties with asphalt roads. The Chinese website eng.tibet.cn quoted a Chinese official who stated: “2009 is the most significant year of highway constructions with 19 key projects being completed, and stimulating economic growth by 1.2 %." We know where these roads will lead in case of conflict with India. Examples could be multiplied. Just to mention a recent one: China launched two spy satellites in seven days in December. 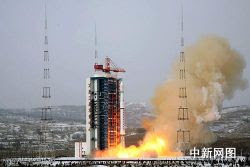 The remote-sensing satellite Yaogan VIII took off from northern Shanxi Province on December 13. Though officially the satellite will be used for “young people to experience aerospace science and technology”, it is known to be a spy satellite, as is Yaogan VII launched a few days earlier from Gansu Province. Vis-à-vis India also, Beijing has become more assertive by supporting India’s neighbours. It was recently announced that China will train the Nepalese Army and had pledged Rs 220 million as military assistance for procuring ‘non lethal’ hardware and logistics. It is not good news for Delhi. Needless to recall the Tawang incident when the Chinese leadership pressurized India to block the visit of the Dalai Lama to the North-Eastern State. Fortunately, Delhi understood that India’s interests, particularly for the border talks, could be jeopardized if the usual policy of appeasement was followed; it remained firm. It is true that contrary to Washington, Delhi is financially not indebted to China. But everything is not rosy in the Middle Kingdom, corruption and pollution have reached new heights in 2009. This has resulted in more than 1,00,000 small and major demonstrations across the country during the past year only. The provinces of Tibet and Xinjiang have been more restive than ever and nobody in the Politburo seems to know how to handle the situation. It explains why the negotiations with the Dalai Lama have been interrupted since November 2008. Perhaps more worrisome for the leadership in Beijing is the division amongst top leaders which became apparent when Vice-President Xi Jinping visited Germany and did not mention President Hu’s name during a meeting with Angela Merkel. For China, 2010 may not be as smooth as 2009 and many surprises can be expected. Should not India be a bit worried by the frantic pace of construction of new roads on the Roof of the World? 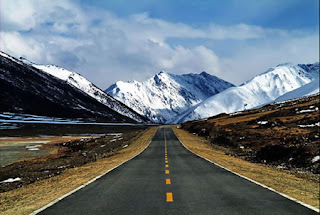 China has so far invested 6.062 billion yuan to build 53,000 km of highway in Tibet Autonomous Region (TAR), connecting 67% of its counties with asphalt roads, reported China’s online Tibet news serviced eng.tibet.cn Dec 27, citing sources from TAR Communication and Transportation Office. The report quoted Zhao Shijun, director of TAR Communication and Transportation Office as saying:" This year (ie, 2009) is the most significant year of highway constructions with 19 key projects being completed, and stimulating economic growth by 1.2 percentage points." The projects were reported to have enabled the achievement of the goal of completing three vertical and three horizontal supportive highway lines to connect Sichuan, Yunnan from east, Xinjiang in west, Qinghai in north, and India, Nepal in south. 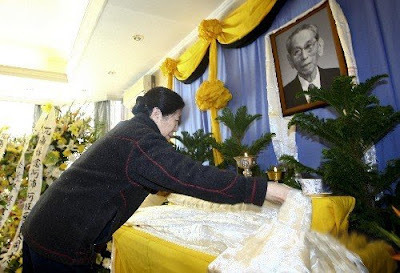 Ngapo Ngawang Jigme died short of his 100th birthday. Very few in India have heard of Ngapo, the Tibetan who collaborated with the Chinese to make Tibet a Chinese colony in October 1950. While the Chinese Government has only praise for Ngapo (spelled Ngapoi by the Chinese press), the Tibetan Administration in Dharamsala strangely paid also tribute to the old man. Why? It is difficult to understand, but probably to show that their position is not far from Beijing’s and that today, they do not seek separation from the ‘Motherland’. That was the end of an independent Tibet. India did not react to this momentous event, being too busy trying to mediate in the Korean crisis and wanting to play a role amongst ‘decolonised’ nation. In other words, he sided with the occupiers against the Tibetans. The ‘rebellion’ culminated with the Tibetan uprising in March 1959 during which the Dalai Lama had no choice but to take the road to India. One detail shows that Ngapo was already considered a collaborator: when the Dalai Lama decided to leave Tibet, he hid his plans from Ngabo, then the senior most Cabinet Minister. He knew that the latter would have immediately reported his intentions to the Chinese authorities in Lhasa who would have thwarted his escape. When I heard that a debate was raging in Dharamsala between those who believe that Ngapo was ‘a honest patriot’ and those who considered him as a collaborator and a traitor, a not-too-well known incident came back to my mind. Several years ago I had interviewed a Tibetan 'Red Guard' who participated to the ghastly Cultural Revolution. When I asked the former Tibetan Red Guard if Ngapo went through ‘struggle sessions’ like other leaders, I was surprised to hear that the only time Ngapo was ‘struggled’, it turned out a masquerade as he was under the PLA’s ‘protection’. By that time, other Tibetans who had supported the Chinese take-over, such as the Panchen Lama or Bapa Phuntsok Wangyal, the first Tibetan Communist had been arrested. Both the Panchen Lama and Wangyal spent nearly two decades in Chinese jails and concentration camps. Ngapo remained one of the few leaders in China who managed to peacefully surf through the different purges and upheavals of Modern China. It shows how pliable he was. During the following years, Ngapo would be given pompous titles by the Communist regime such as Vice chairman of the National People's Congress Standing Committee, Vice chairman of the National Committee of the Chinese People's Political Consultative Conference or Chairman of the Tibet Autonomous Region (during the Cultural Revolution). Ngapo will remain in history for his active participation to two events: first as the Governor of Eastern Tibet at the time of the invasion and then as a negotiator when an Agreement was signed between Tibet and China in May 1951. A few days later, Ngapo was made prisoner and taken to Beijing where he suddenly became the Chief Negotiator to sign on behalf the Tibetan Government an Agreement with China. This was done on May 23, 1950. The Dalai Lama who had taken refuge near the Indian border was not even informed. The Tibetan seals were forged by the Chinese and affixed on the Agreement. Ngapo did not even protest. The Dalai Lama eventually denounced the Agreement when he crossed the Indian border and took refuge in India in April 1959. While the present government in Beijing declared: “Ngapo ushered in major milestones in Tibet, such as the democratic reforms”, Dharamsala mourned his death saying that he was a honest and patriotic Tibetan. Unfortunately, this policy of appeasement may not have the desired result on the hard-core leadership in Beijing. Gigantic projects have never afraid the Emperors in China.Is this 'Central Diversion' one more step towards the Diversion of the Brahmaputra? Only the future will tell, but the plans are certainly ready. At the end, it will only be a political decision. Is Beijing ready to risk a war with India? Perhaps not immediately. Another factor is related to my yesterday's posting, many rivers are drying up in Tibet. Will Tibet have enough water in 2 or 3 decades? China will resettle at least 440,000 people to make way for a massive and much-delayed project aimed at diverting water to meet growing demand in the parched north, state media said Wednesday. Authorities will move around 100,000 residents a year to allow construction of the South-to-North Water Diversion project, the Beijing News said, which aims to divert water from a tributary of the Yangtze river to northern China. The project, long criticised by environmentalists for its huge costs, will include a three-line system of canals and pipes. According to the report, the relocation of the 440,000 people is only related to the first construction phase of the eastern and central lines of the project. A western line is also planned. 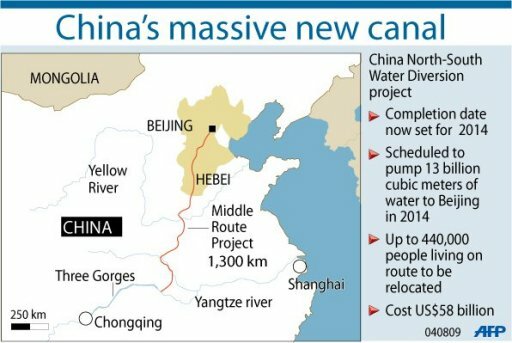 Water was originally due to begin flowing from the central line to Beijing by 2010 but was postponed to 2014 largely due to the resettlement issue, media reports have said. The delay will further complicate water shortages in northern China that experts blame on global warming, drought, and rising demand in the booming Beijing region. Currently water is being diverted from parched Hebei province to provide emergencies supplies for neighbouring Beijing. According to the report, the government will provide each resettled resident with 19,000 yuan (2,800 dollars) -- a sum that does not include compensation for the houses they will leave behind. Thubten Samphel's review of The Negotiations that Never Were has been published in Sify.com. Click here to read. Very sad news for the end of the year. And why are they drying up if there is an increase in precipitation? Half of the rivers emptying into the Qinghai [Kokonor] Lake, northwest China's Qinghai Province, have dried up, according to a survey completed recently. The Qinghai Lake, known as China's ecological shield, serves as an important climate adjustor on the Qinghai-Tibet Plateau. The Administration of the Qinghai Lake Nature Reserve and the Nanjing Institute of Geography and Limnology of the Chinese Academy of Sciences conducted a survey last year on the water depth and water quality of the Qinghai Lake. According to the researchers, 127 rivers flow into the lake, 57 of which have dried up. Rivers surrounding the Qinghai Lake serve as the major water source supplies to the lake. Despite half of the dried-up rivers, the lake's water level has been rising in recent years. Data show that the water level has been rising for five straight years, up 54 cm from 2005 to 2008, and is expected to rise by 10 cm this year. Experts believe that the water level rise is attributed largely to the increasing precipitation in the Qinghai Lake area in recent years. The survey shows that the annual flow of the Buha River, the largest river flowing into the Qinghai Lake, is 703 million cubic meters. A review of my book, Tibet: The Lost Frontier has been published in The Organiser. It is entitled An excellent analysis of Tibetan’s survival struggle. While the Tibetan Diaspora is debating whether Ngapo Ngawang Jigme was a patriot or not, I found in my archives the transcript of an interview with a former Tibetan 'Red Guard' who clearly remembered the only time Ngapo was 'struggled'. In fact it was staged managed by the Chinese; Ngapo never suffered like all other senior Tibetan (and Chinese) leaders. I find it strange when some Tibetans compared the case of Ngapo to the one of the Late Panchen Lama or of Bapa Phuntsok Wangyal. Let us not forget that the Panchen Lama (and Phunwnag) spent 17/18 years in Chinese jails or concentration camps. Ngapo is one of the few leader in China who has never suffered and managed to peacefully surf through the different purges and upheavals of Modern China. It shows how pliable he was. He may be a Chinese patriot, but certainly not a Tibetan patriot. The Panchen Lama had the courage to send his 70,000-characters petition to Zhou Enlai ('a Poisonous Arrow', according to Mao), he suffered dearly for it (and lost his hearing). It has not been the case of Ngapo. Phunwang also nearly became insane in solitary confinement. I respect them, Ngapo was just a collaborator. Question: What happened to Ngapo [Ngawang Jigme] during [the Cultural Revolution]? Did he get through a ‘struggle session’ (tamzhing)? TW [former Red Guard]: Ngapo was ‘struggled’ only one time and during this session, he was heavily protected by the PLA. 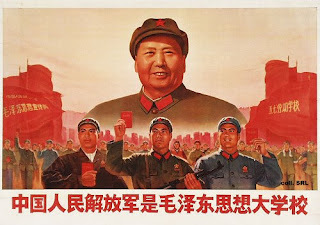 At the time he was supposed to be ‘struggled’, the [Red] students [conducting the ‘struggle’] were sent to the Office of the TAR which was covered with Big Character Posters [praising the Cultural Revolution]. The Chinese [students] did not speak Tibetan and they wanted to know what was written on the posters; we were told to say what the posters said, what were the slogans in Tibetan. They took notes of the Tibetan Big Character Posters, but as they did not know Tibetan, they just copied them (after we had explained the meaning). Another day we were called to the main headquarters of the TAR to manage the crowd. Thousands of people were shouting: “Down with Ngapo Jigme, let him be killed”. When we went there, we saw Ngapo in his military uniform; he was lead by some Chinese soldiers. He was brought on the stage and before making his confession, he took out the five stars out of his uniform and put them into his pocket and said: “For years and years my family had been exploiting the Tibetan people, and we will not able to get rid of this [sin] forever.” He just said that and he was quickly taken away by the PLA soldiers. He then put in the plane and flown to China. He was accompanied by his family members. Not a member of his family was left behind [in Tibet]. The reason why Tibetans were so angry with Ngapo, (though they could not say it openly) was because in 1951, he had signed the 17-Point Agreement with the Chinese government. But also because the Chinese [Army] gave him a full protection. What about replacing the Human Species? This Takin looks sweet. But it is today endangered, like many other species in the Himalayas. The planet probably needs another Drukpa Kunley to make some news species, and perhaps one to replace the human species. GUWAHATI: When Lama Drukpa Kunley, (the divine madman) visited Bhutan in the 15th century, devotees urged him to perform a miracle. The saint demanded that he be first served a cow and a goat for lunch. After devouring them with relish and leaving only bones, the Lama took the goat’s head and stuck it onto the bones of the cow. He then commanded the strange beast to rise and graze on the mountain-side. Amazing all, the animal rose and ran up to graze. The animal in question – Takin or Budorcas taxicolor, the national animal of Bhutan – is now under tremendous ‘hunting pressure’ from tribals in Arunachal Pradesh. Found in the Eastern Himalayas, this fleshy goat-antelope was chosen as the national animal of Bhutan based on its uniqueness and strong association with the country’s religious history and mythology. There are four subspecies: Mishmi Takin, Shanxi or Golden Takin, the Tibetan or Sichuan Takin and the Bhutan Takin. As Dharamsala mourns the death of Ngapo Ngawang Jigme, one could ask, what is the need? He has always been on the wrong side of History. We mentioned the signature of the 17-Point Agreement (without referring to the Dalai Lama or the Lhasa government) in an earlier posting, here is an extracts of my book Tibet: the Lost Frontier showing his attitude during the Chinese 'liberation' campaign of October 1950 which was ambiguous, to say the least. ...On October 11 at 11 p.m., [Robert] Ford [radio operator working for the Tibetan government] had just finished speaking to his mother in England on the radio and was preparing to go to bed, when he heard a faint tinkle of bells coming from the east. “As bells grew louder I heard another sound, the clip-clop of horse’s hoofs.” Ford added, “…it passed my house on the way into the town. I saw the rider’s fur hat and the silhouette of the barrel of his riffle sticking up above his shoulder.” Ford immediately recognized an Army messenger riding towards the Residency where Ngapo Ngawang Jigme, the new Governor of Kham was staying. Five days had already passed since the Chinese began the ‘liberation’, but for reasons known only to himself, Ngapo Shape [Ngapo as Governor of Kham had a Cabinet Minister rank and was referred as Ngapo Shape] had refused to spare a radio set for the border post to monitor the advance of the Chinese troops. “Your Excellency, the spare portable radio is ready to go out at the shortest notice”, Ford told Ngapo, indirectly suggesting that a radio should be sent to the border. ”Good, Please keep the batteries charged,” replied Ngapo. “Very good, we may need to send the station at any time,” answered Ngapo. This discussion summarized the Tibetan world view. Unfortunately for them, the world had changed and the consequences would soon be tragic for old Tibet. Ngapo was not a military strategist and he could not have known about the conversation between Stalin and Mao. But at the time of this conversation, the Chinese Liberation Army had already attacked on many fronts. The Dalai Lama discovered later that the letter was Ngapo’s telegram informing the Regent that the first outposts near the Yangtse had fallen. One day Ford went to Ngapo to show him the news summary and he was reassured by the Governor not to worry. The Tsongdu and the Kashag were deliberating and once a decision was taken, it would be announced. Two-hour trial is fast! One often wishes that justice should be faster in India, but not that speed. Here justice appeared to have been denied, tough justice was not delayed. A Chinese court has sentenced a leading dissident to 11 years in prison for "inciting subversion of state power". Liu Xiaobo, a 53-year-old academic, who was previously jailed over the 1989 Tiananmen Square protests, had been charged for co-authoring a document appealing for political liberalisation. The verdict was handed down by a Beijing court on Friday after a two-hour trial on Wednesday in which prosecutors accused Liu of "serious crimes". Liu's lawyer, Shang Baojun, said he had 10 days to appeal, but Liu's wife, Liu Xia, had said on Wednesday that her husband had no plans to appeal. Friday's sentencing came despite calls by the US and EU for Liu's release. "We are deeply concerned by the sentence of 11 years in prison announced today," Gregory May, the US embassy's first secretary in China, told reporters outside the courthouse. "Persecution of individuals for the peaceful expression of political views is inconsistent with internationally recognised norms of human rights." May was one of a dozen diplomats stopped by the authorities from attending the trial and sentencing. Jiang Yu, a Chinese foreign ministry spokeswoman, told reporters this week that statements from embassies calling for Liu's release were "a gross interference of China's internal affairs". The highly-sensitive case has also been criticised by human rights groups, which said the trial was deliberately timed to coincide with the Christmas holiday period, in the hope that international media and foreign governments will overlook the case. New York-based Human Rights Watch (HRW) issued a statement condemning Liu's conviction on Friday, calling it a "travesty of justice". Phelim Kine, an HRW researcher in Hong Kong, told Al Jazeera that "today, we have seen the true face of the regime, and the true face is that the Chinese government uses the judicial system to silence dissent". "The fact is that it's a myth that China is now more tolerant of free speech. 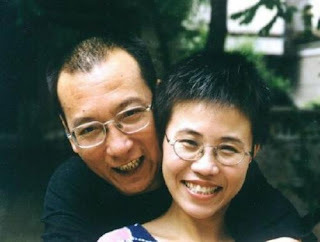 Liu Xiaobo is a high-profile figure, and they have used him to send a message that they will not tolerate these ideas." The case against Liu centres on his co-authoring of a petition titled Charter 08, which calls for the protection of human rights in China and reform of the country's one-party communist system. Al Jazeera's Melissa Chan, reporting from Beijing, said Liu's conviction - the longest sentence for "inciting subversion" handed down since the crime was established in the 1997 reform of the criminal law - sent a clear message that the Chinese authorities do not tolerate his kind of opinions. The charter co-authored by Liu sought amendments to the constitution and called for a multi-party system in China, which our correspondent said may have been seen as a direct challenge to the Communist party. According to China Human Rights Defenders, a network of activists, the petition had been widely circulated online, and was signed by more than 10,000 people, including other dissidents and intellectuals. Among the signatories was Bao Tong, an aide to Zhao Ziyang, the late general secretary of the communist party purged for sympathising with the Tiananmen protests. Bao himself spent seven years in prison for sympathising with democracy advocates. Liu is the only person to have been arrested for organising the Charter 08 appeal, but others who signed it have reported being harassed. The petition, which said "we should end the practice of viewing words as crimes", specifically called for the abolition of subversion in China's criminal code - the very crime for which Liu was sentenced on Friday. Ngapo has passed away in Beijing. He was the main Tibetan collaborator. Without his full support, the Chinese would have found difficult to 'peacefully liberate' the Roof of the World in the fifties. He was the signatory of the 17-Point-Agreement (in May 1951). Ngapo even agreed to have seals forged to affix at the bottom of the text. During the following decades he faithfully served his masters. The Chinese are obviously proud of him. BEIJING, Dec. 24 -- Ngapoi once served as vice chairman of the National People's Congress (NPC) Standing Committee from 1964 to 1993 and vice chairman of the National Committee of the Chinese People's Political Consultative Conference (CPPCC) for many years. 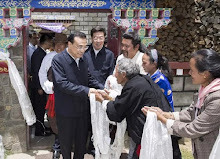 He was also president of the China Association for Preservation and Development of Tibetan Culture, established in 2004. He was one of the founders of the Tibet Autonomous Region and the first chairman of the Regional Government. He followed renowned scholars like Sherab Gyatso, who was strongly against an independent Tibet. In 1949, Ngapoi urged the Dalai Lama and the local Tibetan Government to accept the Central Government's invitation and send a delegation to Beijing to negotiate the peaceful liberation of Tibet. When he was designated governor of Qamdo, Ngapoi dismissed more than 8,000 militia soldiers who were deployed to fight the People's Liberation Army, paving the way for the peaceful liberation of Qamdo. In 1951, the Dalai Lama sent Ngapoi and four other delegates to Beijing for negotiations. 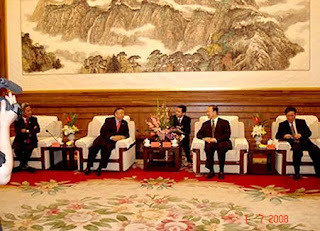 In Chongqing, Ngapoi met future Chinese leader Deng Xiaoping for the first time. 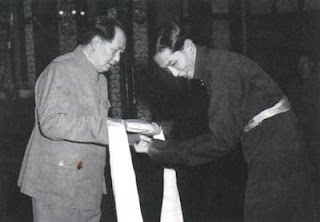 In an article, he recalled that Deng dispelled his doubts about Tibet's future and that he regarded Deng as his first guide in the revolutionary cause. In 1951, the Central Government and local Tibetan authorities signed the 17-Article Agreement, heralding the region's peaceful liberation. 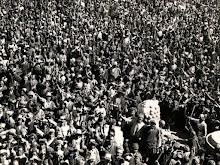 During the rebellions of the 1950s, which were instigated by some Tibetan nobles and high-ranking religious figures, Ngapoi stood firmly against the wave, and personally protected many who stood up to the rebels. Ngapoi ushered in major milestones in Tibet, such as the democratic reforms and the founding of the Tibet Autonomous Regional Government. Two Spy Satellites in one Week! The Chinese military space program is going on full swing. The launch of these two satellites has been reported in the Chinese press. The information here is quoted from http://www.china-defense-mashup.com. December. 13 (China Military News cited from Xinhuanet) — China will launch a remote-sensing satellite, ” Yaogan VIII” in the coming days from the Taiyuan Satellite Launch Center in northern Shanxi Province, the center said Sunday. The satellite would be sent into the space aboard a Long March 4C carrier rocket, the center said. Also on board is China’s first public-welfare mini satellite, “Hope I,” which will be used for the country’s young people to experience aerospace science and technology. Currently, the satellites and the rocket are in good condition, according to the center. Its predecessor, “Yaogan VII,” was launched Wednesday from the Jiuquan Satellite Launch Center in northwestern Gansu Province. There was even a four-lane underground roadway between Zhongnanhai, the Communist Party's leadership compound and the Great Hall of the People. To dig underground silos is therefore no big deal for the Chinese engineers. A recent article in the China Brief of the Jamestown Foundation brings light on the existence of an Underground Great Wall. In early December, the People’s Liberation Army's (PLA) publication, China Defense Daily (Zhongguo Guofang Bao), published a report that provided a rare glimpse into an underground tunnel that is being built by the Second Artillery Corps (SAC)—the PLA's strategic missile forces—in the mountainous regions of Hebei Province in northern China. The network of tunnels reportedly stretches for more than 3,107 miles (Ta Kung Pao, December 11; Xinhua News Agency, December 14). The revelation of the semi-underground tunnel highlights the strides being made by China's nuclear modernization efforts, and underscores a changing deterrent relationship between the United States and China. The labyrinthine tunnel system, dubbed by the Chinese-media as the "Underground Great Wall” (Dixia Changcheng), was built for concealing, mobilizing and deploying China's growing arsenal of nuclear weapons. According to military experts cited by various reports, the main purpose of the underground tunnel is to provide the SAC with a credible second-strike capability. The building of an underground tunnel for this purpose is consistent with China's evolving nuclear doctrine from its traditional posture of "minimum deterrence" to a doctrine of "limited deterrence," since the subterranean bunkers strengthen the survivability of China's nuclear forces and bolster its nuclear deterrence posture. Analysts have long speculated that the SAC' most important underground missile positions were located in the mountainous area in northern China. The geography of this region is cut by steep cliffs and canyons, and therefore suited for use in covering the network of tunnels that is 3,017 miles and can feed a web of underground launch silos. According to a military analyst cited by Hong Kong-based Ta Kung Pao, "the outermost layer is 1,000 meters [3,280 feet] deep and covered with soil that does not include any artificial reinforcements" (Ta Kung Pao, December 11; Xinhua News Agency, December 14). Moreover, the Chinese reports described the tunnel system in terms of "hard and deeply buried targets" (HDBTs), which typically refers to facilities a few hundred feet deep in "underground installations." In the of case of strategic nuclear missiles, it would mean that all preparations can be completed underground, and the transportation of missiles, equipments and personnel through a network of underground corridors by rail cars or heavy-duty trailers to fixed launch sites can not be detected from observations on the ground (Ta Kung Pao, December 11; News.sina.com, December 13; Xinhua News Agency, December 14). 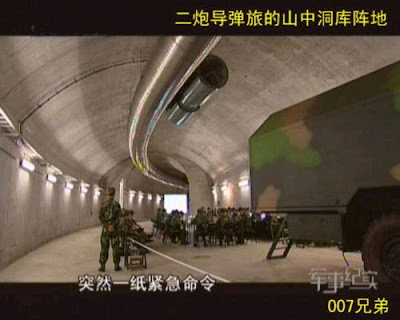 An article published in the Taiwan-based Asia-Pacific Defense Magazine, entitled "A Destructive Projection Power: PLA Second Artillery Corps' Long-range Guided Missiles," by former Taiwanese Vice Admiral Lan Ning-li, included an analysis that also discussed underground installations of the Second Artillery Corps. According to Vice Admiral Lan's assessment: "The early version of China's mid-to long-range missiles had all been deployed above ground and were vulnerable to detection by spy satellites and attacks by interceptor missiles. That prompted the Chinese military to move all of their missiles hundreds of meters underground" (Ta Kung Pao, December 11; Chosun Ilbo, December 14). Moreover, a Hong Kong-based military analyst cited by Ta Kung Pao suggested that the timing of the open declaration about China's nuclear modernization before negotiations on the Strategic Arms Reduction Treaty may be meant to draw attention to China's nuclear stature (Ta Kung Pao, December 11; News.sina.com, December 13). Yet, while deterrence assumes that a more secure second-strike capability could enhance stability by causing adversaries to act more cautiously, some analysts have pointed out that strategic stability may not be the necessary outcome of China's deployment of a secure second-strike capability (See "The Future of Chinese Deterrence Strategy," China Brief, March 4). Since China continues to conceal details about the size and composition of its nuclear stockpile, this may lead to more concerns from China's regional neighbors over Beijing's nuclear modernization. 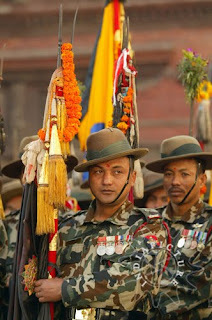 For a hundred years, the Gurkha regiments have been the best troops of the British Empire. They today need training from the Chinese 'Liberation Army' which has never been known for its military prowess. Is it not strange that the latter should train the former? But for Beijing, it is way to step further into Nepal and reach the Gates of India. Kathmandu, Dec 16 (PTI) In a move that may raise concerns in India, China today said it will train the Nepalese Army and pledged Rs 220 million as military assistance for procuring "non lethal" hardware and logistics. The pledge was made during a meeting between a Chinese military delegation led by Maj Gen Jia Jialing and Defence Minister Vidya Bhandari. The money will be utilised to supply the "non-lethal" military hardware including logistics and training to the Nepal Army, according to Adviser to Defence Minister Subhash Devkota. According to Defence Ministry sources China will supply 20 million Yuan worth of "non-lethal" military hardware to strengthen the Nepal Army. The remaining 800,000 Yuan will be utilised for imparting training and holding interaction between the two armies in the Nepal-China border area. Rewriting Prehistory: were the first Tibetans Chinese? We knew the Chinese experts in rewriting history, but like in many other fields, they have gone a step further. They have started rewriting prehistory. KUNMING, Dec. 14, 2009 (Xinhua) -- Chinese scientists have found through genetic studies that modern humans had successfully colonized the Qinghai-Tibet Plateau in the Late Paleolithic Age, at least 21,000 years ago. The plateau, with an average altitude above 4,000 meters and known as "the Roof of the World" in southwestern China, is one of the most challenging areas in the world for human settlement due to its environmental extremes, such as extreme cold and low oxygen levels. "Through Paleolithic era stone tools excavated from the plateau years ago, archaeologists believed human beings possibly inhabited the plateau 30,000 years ago," said Zhao Mian, a researcher from the Kunming Institute of Zoology with the Chinese Academy of Sciences. But, with the drastic drop of temperature on the Earth in the Last Glacial Maximum of the Late Paleolithic Age, about 23,000 years ago, many species could not adapt to the changes and died out, she said. "Scientists have been debating heatedly whether modern humans on the plateau had survived the adverse conditions," she said. From the perspective of genetic continuity studies, geneticists had also attempted to find out when modern humans settled on the plateau by determining the age of the ancient components found in the genes of modern-day Tibetans. "But due to few DNA samples of Tibetans, especially from Tibet, and lack of distinguish ability in previous studies, geneticists found it hard to judge whether Tibetans have ancient components in their genes," she said. Led by her tutor Zhang Yaping, director of the the Kunming Institute of Zoology, Zhao and 14 other geneticists, including a German scientist, set up a research group three years ago. They collected 680 genome samples of genetic structure from Tibetans in several major Tibetan-populated areas, including Tibet,Qinghai, Gansu, Sichuan and Yunnan. Of those, 388 were sampled from Tibet. "Based on studies of their mitochondrial DNA genome variation, our results confirm the vast majority of Tibetan matrilineal components can trace their ancestry to Epipaleolithic and Neolithic immigrants from what is now northern China, or about 10,000 years ago, which accords with previous studies," Zhao said. In genetic studies, mitochondrial DNA is a tool for tracking ancestry through females and has been used in this role to track the ancestry of many species back hundreds of generations. "Another significant finding was that researchers identified an infrequent novel haplo group, M16," she said. In human genetics, haplo groups can be used to define human beings' ancestral groups and genetic populations. "Unlike Tibetan matrilineal components inherited from north China immigrants, M16 branched off directly from the genetic components of the ancestors of modern Eurasians," Zhao said. "M16 has an ancient age of at least 21,000 years, based on calculations through various dating methods in genetics," she said. "Its nearly exclusive distribution in Tibetan populations and ancient age suggest that M16 may represent the genetic relics of the Late Paleolithic inhabitants on the plateau," she said. "We believe the research results give a relatively clear answer to the debate on when modern humans settled down on the Qinghai-Tibet Plateau successfully," she said. Archaeologists have discovered Paleolithic human hand and footprints near Lhasa, the heart of the plateau, and reckoned they dated back about 20,600 years to 21,700 years, she said. "The age of the relics is close to that of M16, so we believe that supports our research results to some extent," she added. Zhao and her group's article about the research will be published on a leading science periodical, the Proceedings of the National Academy of Sciences (PNAS) of the United States of America. PNAS articles are usually published on-line before print, and Zhao's article, "Mitochondrial genome evidence reveals successful Late Paleolithic settlement on the Tibetan Plateau", can be found in the on-line edition of PNAS. In 1981, the famous Chinese dissident Wei Jingsheng wrote to his family “it became very clear that I was the chicken killed as a warning to the monkeys". He was referring to his writing on the Democracy Wall in Beijing in 1979 and his essay on the Fifth Modernization. 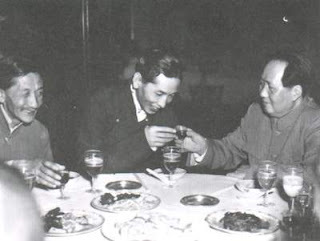 Deng had spoken of the China’s Four Modernizations, Wei had added democracy. 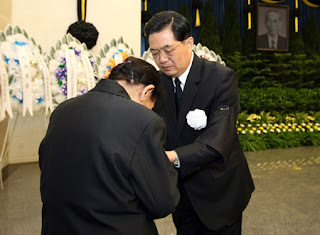 Wei believed that for Deng Xiaoping the dissidents did not matter much; the old leader’s main worry was the Party officials and he wanted to make sure that nobody could be bitten by the democratic virus. In the process a few chickens like Wei were sacrificed. Deng made some examples ‘to warn the monkeys’. Thirty years later, the situation has not changed much. BEIJING — Liu Xiaobo, one of China’s best-known dissidents and a principal author of a pro-democracy manifesto that has attracted more than 10,000 signatures from Chinese supporters, was indicted Thursday on charges of trying to subvert the state, his lawyer said. Mr. Liu was expected to be tried in four to six weeks, the lawyer, Shang Baojun, said Friday. The authorities disclosed the decision to prosecute Mr. Liu — a step that almost invariably ends in imprisonment — exactly one year and a day after the manifesto, Charter 08, was published. Other Charter 08 signers said in interviews that the government was using Mr. Liu’s case to send a strong message to Chinese intellectuals that it would not tolerate organized, independent efforts to foster democracy. Mr. Liu’s supporters had hoped that Chinese leaders would be persuaded to release Mr. Liu, who has been detained for more than a year, when President Obama visited China last month. During the visit, United States officials gave Chinese leaders a list of “cases of concern” that included Mr. Liu and 11 other political and religious activists who are imprisoned or facing charges, according to Nicholas Bequelin, an Asia researcher for Human Rights Watch, which is based in New York. Many activists viewed Charter 08 as the most important pro-democracy effort in China since the 1989 Tiananmen protests. Although censors swiftly deleted the document from Internet pages and chat rooms, more than 10,000 people managed to sign it. It stated that Chinese citizens should be able to elect their own government, that power should be divided among different branches of government and that the military should come under government, not party, control. Ran Yunfei, a well-known blogger in Sichuan Province who signed the manifesto and the most recent letter, said the government wanted to silence the movement. “But this is the historic trend of democratization, and it cannot be stopped by anyone,” he said in an interview. Mr. Liu spent two years in prison after the 1989 pro-democracy protests and three years in a labor camp starting in 1996 for challenging single-party rule and advocating negotiations with the Dalai Lama over Tibet. He was prepared to return to prison over Charter 08, Mr. Bequelin said. Chinese defendants in subversion cases are typically sentenced to three to eight years in prison, he said. They are almost never acquitted. Mr. Bequelin said Mr. Liu’s fate depended partly on the reaction of the international community to the indictment. “Whatever they have been doing, it has not been enough,” he said. The Negotiations that will never be? This statement of Zhu Weiqun, Vice Minister of the United Front Work Department is depressing at first sight; it however probably signals a return to the negotiating table. The Chinese are also adepts of the Middle Path approach, but they prefer to change the posts before the beginning of the talks: the further the posts, closer to their position is the 'middle'. One of the most shocking fact about the 'negotiations' is that the Chinese side does not even allow the Tibetans to have a Chinese-speaking member in their team. The Chinese officials speak of 'lies', but their own is the biggest: they pretend that there never was an 'invasion' of Tibet and Tibet was just 'liberated'. According to the latest news from Eastern Tibet (Nyagchuka County, Kardze Tibetan Autonomous Prefecture, Sichuan Province), it is clear that Tibet is still not liberated. Lodi Gyari's answer to Zhu is available on Phayul.com. In an exclusive interview with the Global Times, Zhu Weiqun, vice minister of the United Front Work Department (UFWD) of the CPC Central Committee, dismissed recent remarks by the Dalai Lama that China is aware that he is not seeking an independent Tibet. "This is yet another lie from the Dalai Lama," Zhu told reporters Monday. "I represent the government during talks with his man. It is impossible for me, or anyone from my team, to say something like ‘the Dalai Lama has stopped separatist activities.'" During a visit to Australia earlier this month, the Dalai Lama said in Sydney that, during the fifth-round of talks in 2006, officials from the UFWD had told his representative, Lodi Gyari, that they knew the Dalai Lama hadn't sought an independent Tibet, according to Voice of Tibet Radio. Thus, any comments since then by the Chinese government condemning his separat-ist acts were pure political propaganda, the radio reported. "During the talks with Gyari, he did tell me that the Dalai Lama had no intention of seeking independence and was willing to solve the issue under the Chinese Constitution," Zhu said. "What he said was good, but still far from enough. The ‘middle way' solution the Dalai Lama proposed still claims Tibet as occupied by China and demands the abolishment of the current social system. His so-called ‘greater Tibet' idea also demands the pull-out of all non-Tibetans and military from Tibetan-inhabited areas." "Those ideas all oppose the Chinese constitution and the Law on Regional National Autonomy. He should seriously rethink his ‘middle way' plan and make thorough explana-tions," Zhu said, adding that this is not the first time the Dalai Lama has spoken such lies. "He made similar remarks last April in Seattle. Shortly after that, Gyari told me in Shenzhen that the Dalai Lama misinterpreted my words in 2006. I asked him to warn the Dalai Lama about repeating such mistakes. However, the same thing happened again in May and June that year and in August this year. I wouldn't be surprised if he brings up the same lie again in the future," he said. Zhu also pointed out that, no matter how the Dalai Lama repeats the lies, Gyari has always remained silent in the corner, which may reflect the dilemma of Gyari: while refusing perjury in favor of the Dalai Lama, he is either reluctant or unable to correct his master. Given the fact that each meeting with Gyari is tape recorded, Zhu encouraged Gyari to tell the truth. As to the Dalai Lama's motives for the lies, Zhu said he might be trying to provide himself with an exit amid the political mess. By allegedly masterminding the March 14 riots in Lhasa last year, the Dalai Lama had intended to hijack the Beijing Olympics to broker talks with Beijing to achieve a breakthrough on independence, "but only in vain," Zhu said. Shortly after the riots, the Dalai Lama called the slaying of innocent citizens a "peaceful demonstration" and denied his demands for the withdrawal of the military and non-Tibetans. He never admitted his lies even after being exposed, Zhu added. Claude Arpi's judgement of the dialogue process between Dharamsala and Beijing is clear from the title of his latest book. Despite its loud doubts, The Negotiations that Never Were will serve as an essential reference book for researchers and third parties interested in the intermittent Sino-Tibetan dialogue, which, according to the author, began as far aback as 1973 when some Xinhua (official news agency of China) reporters based in Hong Kong used George Patterson, a Scottish missionary- turned writer, as a conduit to establish ties with Dharamsala. Sino-Tibetan negotiations literature because the book's enduring contribution to this literature is the blow-by-blow accounts it gives of all the contacts and discussions between Dharamsala and Beijing. In reviewing this book one marvels at the fact that these negotiations took place at all. In international politics, diplomacy is always backed by military force. In conducting such relations among sovereign nations, the unstated message always is, negotiate, or else. The option of war is used as a compelling argument for concerned partiesto choose negotiations as a less expensive way to settle outstanding disputes. Tibetans , committed to non-violence, do not have the military option. Despite this, why did the negotiations take place at all? That these negotiations took place is a reflection of the continued hold of His Holiness the Dalai Lama on his people and the quality of leadership he has provided. They also reflect the diplomatic skills of the Tibetan leadership and those Tibetans involved in the negotiations in persuading China, a fast rising power in the world and a firm believer in the power of the gun, to talk with committed non-violence wallahs. That nothing came out of the negotiations till now is not at all surprising. What will rack the brains of future scholars will be the reasons why China decided to hold these extensive discussions in the first place. They will explore the reasons why China, while spewing abuse on His Holiness the Dalai Lama, was conducting discussions with his representatives. Zhang Qingli, Beijing's viceroy in Lhasa, once famously demonized His Holiness the Dalai Lama as someone with "a human face and a heart of a beast." What domestic and international compulsions were at work to force Beijing to talk with representatives of a "beast"? between Dharamsala and Beijing from 1973 and follows it through to the Tibetans handing over the Memorandum on Genuine Autonomy for All Tibetans to the Chinese side in 2008 and what came of the Special Meeting held in Dharamsala. growing civil society, consider that there is a big problem in Tibet and the government is mishandling it. Claude Arpi quotes extensively from Zhang Boshu's article, The Way to Resolve the Tibet Issue, (available on www.chinadigitaltimes.net) to make his point that, though the majority of the Chinese public's thinking on Tibet is shaped by official propaganda, there is a growing public opinion in China that strongly and bitterly disagrees with the government's handling of the issue. In his article, Zhang Boshu of the Chinese Academy of Social Sciences, says, "The Tibet issue is first of all a human rights issue. Although the authorities are not willing to admit it, I want to say it plainly. issue will take courage and great wisdom. Petty scheming could ruin Tibet and ruin China." There are other Chinese who are dismayed that China's current hardline policy on Tibet, rather than solving, is exacerbating China's Tibet crisis. Claude Arpi quotes from Wang Lixiong, well-known Chinese writer, and married to an equally well-known Tibetan author and blogger. Wang Lixiong puts the failure of the talks at the doorstep of that vast anti-splittist bureaucracy that operates in the party, government and army. He points out that the officials who operate this cumbersome bureaucracy are the ones who formulate China's Tibet policy. They are also the ones who shift blame on the Dalai Lama and other "splittists" for any unrest provoked by the hardline policies they implement. prevented the leadership from taking any flexible steps to resolve the vexed issue. The inclusion of a whole chapter, China's Voices of Dissent in The Negotiations that Never Were is, perhaps, the author's way of saying Tibetans can take comfort in these voices of reason in any just settlement of a protracted issue. Perhaps the author might prove to be right. As China undergoes astonishing changes, there might come a day when Chinese civil society would have a say in shaping policy. Rajinder Puri's article on my book has appeared in Outlook Mag. Click here. Recently, some factions of the CCP have tried to bring back the Great Helmsman on the political scene of 21st-century China. A Eight-Episode TV Documentary Series: For Danger In Times Of Safety – Historic Lessons Learned from the Demise of Soviet Communism brings some light on this move. The fall of Soviet Union still obsesses the leadership in Zhongnanhai. Hu Jintao's remarks about Khrushchev throwing Stalin's knife and Gorbachev's betrayal of Marxism, demonstrates the dilemma of a Party which speaks of 'scientific' and 'modern' development, but which is totalitarian in principle. They have betrayed Marxism-Leninism, but are keeping the knife. Full translated text of the narratives is available on Chinascope.com. Here is the link of Rajinder Puri's article quoting my book in The Statesman. reporters from outside of China. experienced Western journalists to serve as overseas correspondents,"
according to a new report from the DNI Open Source Center (OSC). hires, however, have been non-Western reporters." obtained by Secrecy News. Read "China -- Xinhua's Growing Ranks of 'Foreign' Correspondents,"
favor of a heavy focus on live newscasts and news commentaries." Read "China -- Revamped CCTV-News Channel Increases Live Casts, Commentary." Rajinder Puri has mentioned my new book in an article in Boloji.com. It will soon appear in two parts in The Statesman. Recently Chinese troops threatened Indian workers building a road in Ladakh. They enforced stoppage of work. 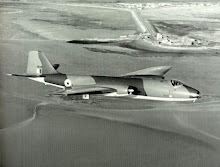 The Chinese themselves are building air strips for strategic purpose on the border. China curtly dismissed Indian protests. "China has a dispute with India on the border issue. The two sides should work together to ensure peace and stability in the border area until the pending dispute is resolved," China’s foreign ministry spokesman told media. Defence Minister of State MMP Raju told reporters that China was merely building infrastructure, there was nothing to worry. Home Minister Chidambaram advised media that only after studying the Chinese response will “the government take a view”. Can capitulation be more shameless? Why is China acting in this manner? Why is China succeeding in having its way? Let us address both questions in that order. The short answer to the first question is that China acts the way it does because of Tibet. Until it obtains total success in achieving its goal in Tibet it will not relent. Its Tibet policy has served it exceedingly well for six decades. Why should China change it? Tibet is crucial for totalitarian China. The minorities in China are roughly 8 percent of the population. The land mass they occupy is almost one third of China. Tibet and Xingjian are China ’s two largest sparsely populated provinces. China is especially paranoid about retaining Tibet because it forcibly annexed it as recently as 1959. Thereby Tibet ceased to be a buffer between China and India, which is the only Asian state that can potentially balance China. The annexation of an independent Tibet is irrefutably outlined in Claude Arpi’s book, Tibet: The Lost Frontier, which was published last year. 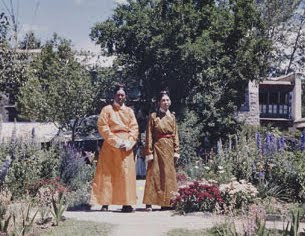 Arpi, a Frenchman based in Auroville, is arguably India ’s most effective communicator of the Tibetan cause. He displays the research of a scholar and the insight of a strategist. This year he has written a follow-up book, Dharamsala and Beijing : The Negotiations that Never Were, published by Lancer Publishers. The book is an eye opener. It meticulously describes the entire farcical engagement since inception between Beijing and the Dalai Lama’s aides. It also exposes the pathetic conduct of America and India that witnessed this dialogue. In 1947 there was no India-China border. There was only the India-Tibet border. Chinese Premier Zhou Enlai hoodwinked Pandit Nehru. From then up till now the Chinese brazenly lied, indulged in doubletalk and blandly denied self evident truths. From then up till now India and America lamely accepted such contemptuous treatment. In 1954 India and China signed a treaty for 8 years by which among other things India recognized Tibet to be part of China. Beijing violated the assurances given in that treaty by transgressing the border. A confused Nehru decided to keep Parliament in the dark. He persisted with secrecy about Chinese encroachments during the following years. That was when this reviewer through an article in 1960 demanded Nehru’s resignation. 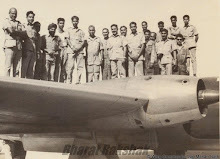 As a junior he made this reasonable demand when media doyens critical of Nehru’s China policies such as S Mulgoukar and Frank Moraes could not bring themselves to state this. No wonder it took a child to blurt that the Emperor wore no clothes! Zhou told Nehru that he was ignorant about the McMahon Line until he studied the border problem. And today China claims Arunachal Pradesh to be part of China! Meanwhile many rounds of border talks between India and China were also held. These talks led nowhere. The door to China was opened in February 1976. Indira Gandhi during the Emergency ignored the Parliamentary resolution forbidding dealing with China until it vacated all illegally occupied territory. She established ambassadorial relations with Beijing. Why did she do this with a country that had betrayed her father and humiliated India? Was it not simply because by that time through Kissinger’s exertions America had opened up to China? The puppeteer could make the puppet somersault. On subsequent contacts Vajpayee, Rajiv Gandhi and Narasimha Rao needlessly kept repeating that Tibet was part of China. 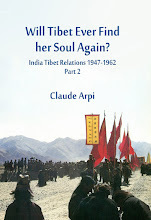 Claude Arpi’s book exposes the painful repetitiveness of all contacts between China and Tibet, between China and the rest of the world. Tibet was like a woodpecker trying to penetrate a block of steel. The Chinese refused to countenance the slightest change in Tibet. In 1988 Dalai Lama made the Strasbourg Proposal and adopted the Middle Way, demanding autonomy instead of independence. Beijing kept calling him a ‘splitter’. China continued to lie and deceive the world to keep talks going. Only once in 60 years did a senior Chinese official speak the truth. In 1980 CCP General Secretary Hu Yaobang admitted: "Our party has let the Tibetan people down. We feel very bad!" Very soon he had to eat his words and fall in line. The world kept hoping for China to change. It was a futile hope. The architect of the evil axis on the American side was Henry Kissinger, once described widely as a war criminal but ending up as a Nobel Peace Prize laureate. A little after Sino-American trade blossomed following Deng’s reforms, Kissinger Associates Inc. took birth. It was a consultancy that acted as facilitator of deals between China and corporate America. Kissinger became the central adviser for the Business Coalition for US-China Trade which has 1000 of the largest American corporations as its members. Kissinger helped set up China International Investment Corporation (CITIC), the Chinese government's banking merchant for doing business with the US. Kissinger Associates roped in top level former officials including Alexander Haig, former National Security Advisor Brent Scowcroft, former Secretary of State Lawrence Eagleburger, international economist Alan Stoga, and investment banker T. Jefferson Cunningham III. No wonder fierce public protest blocked Bush from appointing Kissinger to head the 9/11 Commission. Kissinger was forced to back out. CNN’s Wolf Blitzer asked Kissinger: “Kissinger Associates… has not… detailed the work it does. There is the possibility of a conflict of interest?" Kissinger replied: “No law firm discloses its clients. I will discuss my clients fully with the counsel of the White House…” Kissinger was comfortable with the White House regardless of which administration governed America. For instance, President Obama's trusted Treasury Secretary Timothy Geithner worked for three years with Kissinger Associates before occupying his current post. Over the years Kissinger Associates has grown exponentially with a reach in all continents. Among other giants the American International Group (AIG), condemned for squandering millions as executive bonuses, is a strategic partner with Kissinger Associates. Kissinger is reputed to be one of the key benefactors of the stimulus bailout after the recent economic meltdown. Kissinger Associates is the shadowy centerpiece of corporate America and business partner of China. Totalitarian China is opaque for foreigners. But it has free access to democratic nations. It creates strong vested interest in their biggest business firms. In democracies big business influences politics. Ergo, China influences policy in democratic nations. With a five to one adverse balance of trade with China, with trillions of dollars held as US Treasury bills by China, is America in any position to confront Beijing? 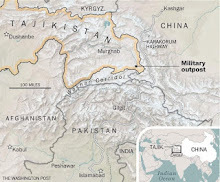 Why, the US dare not confront even China’s proxy, Pakistan! Claude Arpi at the conclusion of his book expresses hope that China will change. He points to individuals in China who speak the truth about Tibet, such as Phunwang, the Tibetan communist who led Chinese troops into Tibet. Subsequently he spent years in jail because he tried to faithfully follow Marxism. He was released and was invited to administer Tibet. He refused. He knew how that would end. He stayed on in mainland China. There are Chinese intellectuals like Zhang Boshu and Wang Lixiong who speak objectively and constructively about Tibet.